Các PDU của Raritan như the RPC Serie và Dominion PX series. Thêm một lớp bảo vệ bảo mật cho hệ thống mạng chống lại các tấn công intrusion và brute-force. Tối ưu hóa và khắc phục sự cố mạng từ xa thông qua event notification và data log. Dominion® SX cung cấp khả năng truy cập local, truy cập và điều khiển từ xa thông qua SSH/Telnet, Web browser để quản lý user, server và các thiết bị mạng khác. Khả năng mở rộng trên hàng trăm user và hàng ngàn thiết bị, sản phẩm Dominion® SX có 4 đến 48 cổng, single và dual feed AC/DC, tùy chọn 2 Ethernet LAN và internal modem. Ngôn ngữ hỗ trợ: English, Chinese, Japanese, Korean. Offers the highest port density (48 ports) in the market in 1U rack unit. Variety of power options, including dual-feed load-sharing power supplies with zero failover time. Choice of one or two 10/100 Base-T Ethernet ports with intelligent automatic failover. Models are available with or without built-in modem, and with one or two at the rack serial ports for local access. Models available in 4-48 ports. Dual power supply options in most 8-48 port models. Port buffer has been increased from 65KB to 256KB which allows expanded logging storage of local events and alerts from 20 pages of content to 80 pages of content. Users now will be sure to have any events that have occurred while they are not connected to the device. On all dual LAN models, the administrator can enable failover to the second LAN port. One or two IP addresses may be used. Either LAN connection can be used as the access port to the Dominion SX. Allows connection of multiple disparate servers running SUN® Solaris™, HP-UX, AIX, Linux®, Windows® Server 2003, and UNIX® servers as well as serial devices to a single Dominion SX – making it perfect for situations where a range of equipment is needed, which is common in remote locations. Integrated power supply ensures proper power provision and system reliability. User selectable and customizable system security levels catering to wide range of user needs for security. 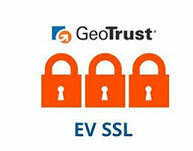 Enhanced security of communication channels by using client and server SSL certificates. Support provided for the RADIUS, LDAP, TACACS+, Kerberos V.5 and Active Directory®; Primary and secondary servers are supported. SecureID is supported via RADIUS for added security. Reduces the time to load the Java applet in a browser implementation to less than one minute. Improved usability, with command completion and history. CLI admin has the same functionality as the GUI, thereby allowing scripting of any command. Installation in less than 3 minutes, with just a Web browser or a VT100 terminal (or equivalent). Some competitive products require burdensome editing of multiple files to complete a basic installation. Improved system performance monitoring and management. Allows for discovery and management of IPMI-enabled servers. Allows encrypted instant messaging for online collaboration with other authorized browser users and maximizes the effectiveness of a distributed workforce. Reduces time to resolve problems and allows multiperson troubleshooting. Also supports training needs. Extensive SNMP traps allow for various alerts e.g., authentication failures, port connections and disconnections and many other events of interest to the system administrators. When deployed with CommandCenter Secure Gateway, thousands of Dominion SX devices can be managed with centralized authentication and authorization. Simplifies firmware updates via CommandCenter Secure Gateway. Administrators can schedule firmware upgrades for one or more SX devices. Administrators and users can connect to one IP address with one login via CommandCenter Secure Gateway to manage the SX or the targets. This connection can be via browser or through SSH. Only Raritan allows direct SSH connection to the aggregator. Raritan power control units (RPCU) can be connected to each serial port on a Dominion SX. For servers/equipment that have multiple power feeds, multiple power outlets can be associated together to switch equipment on or off with a single click of the mouse.